Resumes are a very important part of the professional life of a person. This is the document that helps a person to provide his candidature for a vacancy in a company. Making an effective resume is the work of professionals. Often professional consultants are hired for the purpose of making effective resume templates. Here we will look at the various aspects of making a good and effective resume through the use of resume etiquette design. It is to be remembered that resume is the first representation of you. A HR cannot see you, he or she is going to see you through your resume. The following points are to be remembered at the time of making a good resume. The resume has to be structured and properly formatted. The resume must be having a clear objective. The particulars such as the experience details are clearly mentioned. The language has to be simple. The contact details are to be clearly mentioned. The candidate must not use jargons. Please do not mention any contrasting objective, aims and goals. This is going to confuse the reader or the interviewer. The format of the resume has to be a formal one and clear. These points can be followed by professionals who are looking forward to change their jobs and also to make a move ahead in their careers with other companies. These points can also be followed by professional firms who are into the service of resume development. The resume etiquette design can help you to make a very effective resume. The biggest benefit of these points is that they will help a user to make effective resume formats that will enable a candidate to make professional representation in a company. 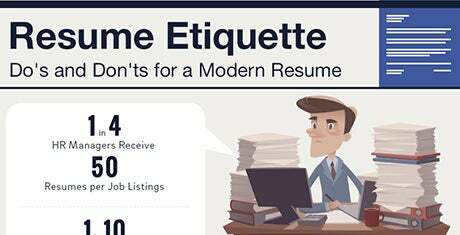 The resume etiquette design can help you to make effective resumes and do away with all the pitfalls that can spoil the quality of your resume.